Nigeria’s chief justice will face trial Monday for allegedly breaching asset-declaration rules, the Code of Conduct Tribunal (CCT) said Saturday, a month before a presidential election in Africa’s most populous country. 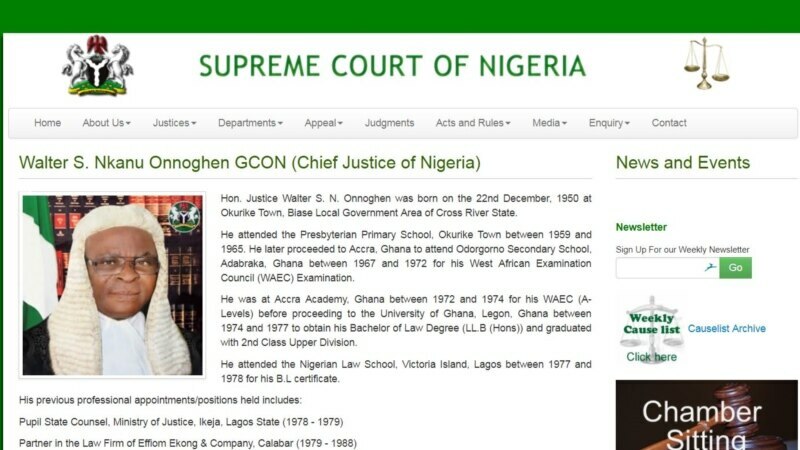 The conduct tribunal, which tries asset-declaration misdemeanors, said in a statement Saturday that Onnoghen would face six separate counts, without giving further details. The opposition People’s Democratic Party (PDP) accused the ruling party of plotting to destabilize the judiciary ahead of elections by seeking to remove Onnoghen, which could cause a constitutional crisis. In 2016, the tribunal charged Senate President Bukola Saraki, the country’s third most-powerful politician, with false asset declaration. Saraki was later cleared of wrongdoing.